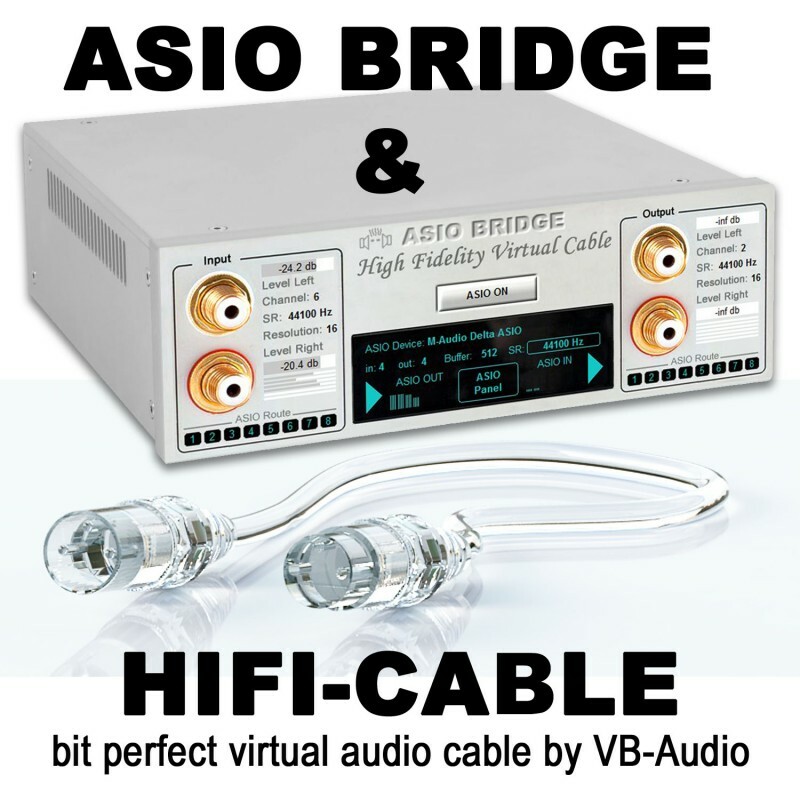 HIFI-Cable & ASIO Bridge package offers a bit perfect virtual audio cable (for a perfect audio connection between two applications) and the ASIO Bridge App to route HIFI-Cable Input/Output to an ASIO device. Then it is possible to use audio professional devices to listen to any PC-Sound with the best quality, coming from any applications or online services (Media Player, Spotify, Deezer, Youtube, Netflix, Qobuz...). 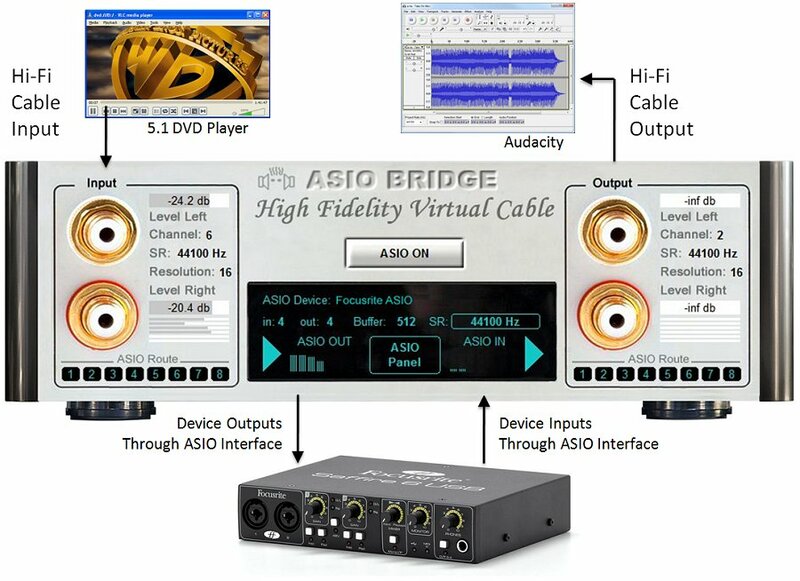 HIFI-Cable & ASIO Bridge are distributed as donationware. You pay what you want if you find this application useful. Thanks for your participation!